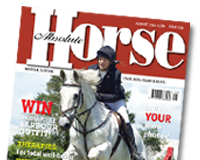 The list included local rider Ruth Hole (18) from Bury St Edmunds, Suffolk with Dr Rachel Murray’s Winnetou GEP, and Isobel Berrington (17) from Welwyn, Hertfordshire with Aimee Witkin’s Bing. Final NAF Young Rider and Junior short lists will be announced following Wellington Premier League during the week commencing 12 June. Final team selection will take place at the Pre-European Team Camp, 8th-9th July, with the team announced on Monday 10th July. World Horse Welfare is calling for information after a colt foal only a few days old was found dumped and left to die in Thetford Forest, Norfolk over the weekend of 7th May. “This is a sad case of a very young foal – less than a week old – being dumped and left to fend for himself at the time of his life when he is at his weakest and needs to be receiving vital care and feed from his mother. The British Showjumping squad selected to represent Great Britain in the Pony Nations Cup in Opglabbeek, Belgium is as follows. The competition takes place between the 11th – 14th May 2017 at Sentower Park. The Nations Cups competition takes place on Saturday 13th May whilst the Grand Prix will be held on Sunday 14th May. The Chef d’Equipe’s accompanying the teams will be Tony Newbery and Clare Whitaker. ARE YOU READY FOR THE 2017 REDWINGS SHOW? Redwings Horse Sanctuary’s annual show is on Sunday 14th May at Topthorn Equestrian Centre near Stowmarket, Suffolk, and the charity is hopeful for a fantastic turnout. The Redwings Show always brings great anticipation and excitement with classes to suit every age, ability and horse. And this year, horse feed specialists Spillers have donated £100 of vouchers for the winner of the Best Condition Championship! A jam-packed schedule awaits competitors at this year’s show. The charity prides itself on creating an encouraging and supportive environment for those ponies and riders who are new to the showing arena with a ring dedicated to novice classes. The ever-popular Donkey Breed Society affiliated classes, and veteran and fun classes will also be returning this year – not forgetting the rescue classes, which are a particular favourite among both Redwings’ show team and show-goers. Rescued ponies from any charity are welcome to take part, whether on loan or as signed over from a rescue charity. Entries are welcome for the show in advance or on the day. The full schedule and details of how to enter can be downloaded via Redwings’ website – www.redwings.org.uk/show-2017. Diss Event Photography will also be attending this year’s Redwings Show to take and print photographs on the day so competitors and their families can take their memories of the day home with them.